The GMC Sierra delivers serious towing and hauling capability. The Sierra is built on the same platform and shares mechanicals with the Chevrolet Silverado but exterior styling is quite different. Sierra offers a choice of 4.8-liter, 5.3-liter, and 6.2-liter V8 engines, plus a hybrid gas-electric. It comes in Regular, Extended, and Crew Cab versions with long and short beds, long and short wheelbases, two-wheel drive and four-wheel drive. All the V8 engines benefit from variable valve timing and Flex Fuel capability (meaning they will run on E85 ethanol). Active Fuel Management is standard with the 5.3-liter V8. The 5.3-liter and 6.2-liter V8s come with a 6-speed automatic transmission. 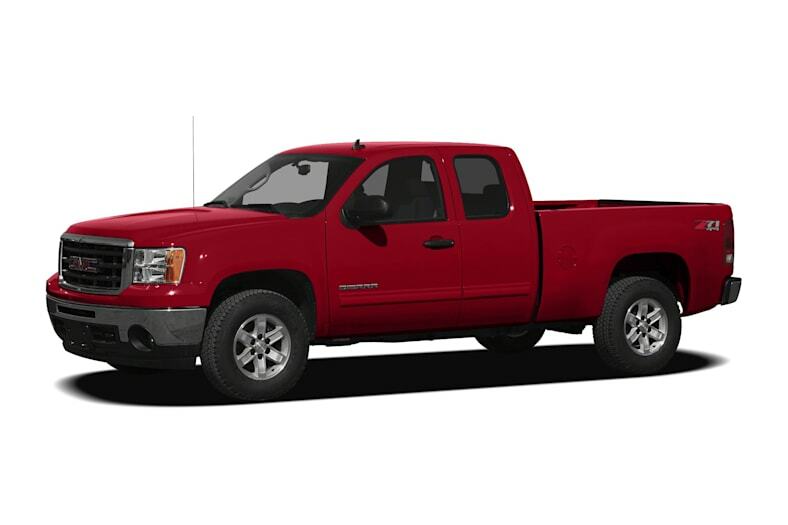 The 6.2-liter V8 is available for Sierra Extended Cab and Crew Cab models, and is useful for towing heavier loads. A 3.08:1 axle ratio is standard with both transmissions and offers better fuel economy, but it's not recommended for towing. The Sierra Hybrid uses GM's Two-Mode Hybrid system. It's available only as a Crew Cab model with a specially tuned 332-horsepower 6.0-liter V8 working in conjunction with a battery pack and a 4-speed automatic transmission that houses two electric motors. The Hybrid is EPA-rated at 20 mpg City/23 mpg Highway, while compromising payload and towing capacity (maximum around 6000 pounds). A choice of interior styles is available. The traditional layout, called pure pickup, has a driver-oriented dash layout with large switchgear and door handles designed for work gloves. The pure pickup interior includes a 40/20/40 split front bench seat with the center section folding down to provide a large storage compartment and wide armrest. The luxurious Sierra SLT has a cabin similar to that of a luxury SUV, with two front bucket seats separated by a fixed center console. This design places audio and ventilation system controls more easily within reach of the front-seat passenger, who may or may not be a spouse, and it offers space for a navigation system and storage compartments. The Sierra Denali makes for a comfortable, luxurious pickup with the emphasis on performance rather than payload and towing capacity. The Sierra Denali offers the same sort of high-line content as the upscale GMC Yukon Denali sport utility, and it's available with all-wheel drive. Denali comes with a 6.2-liter V8. Side-curtain airbags and seat-mounted side airbags are standard on all Sierras, while StabiliTrak electronic stability control with rollover mitigation is standard on 1500 models. A rearview camera is available and we recommend it. Changes for 2011 are minor and include subtle refinements to reduce wind noise. All 2011 Sierra models except the basic Work Truck come with OnStar 9.0.